Developed as the successor to the PENTAX K-1 35mm full-frame digital SLR camera (launched in April 2016), the PENTAX K-1 Mark II was designed to be the new flagship of the acclaimed PENTAX K-series lineup. In addition to the outstanding image quality, this model provides excellent super-high-sensitivity imaging performance and much-improved operability — important factors expected in a top-of-the-line model — to accommodate a wider range of subjects and scenes. By coupling a newly incorporated accelerator unit with the PRIME IV imaging engine, it assures flawless, high-speed operation and excellent noise-reduction, improving image quality and super-high-sensitivity imaging performance. 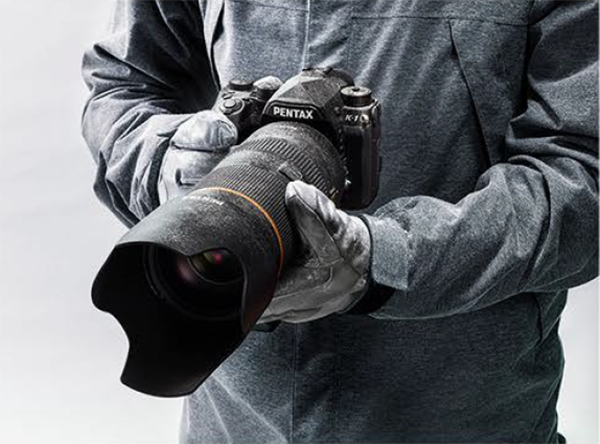 The PENTAX-developed Pixel Shift Resolution System — the latest super-resolution technology designed to optimize the image sensor’s imaging performance — has been upgraded to the Pixel Shift Resolution System II. 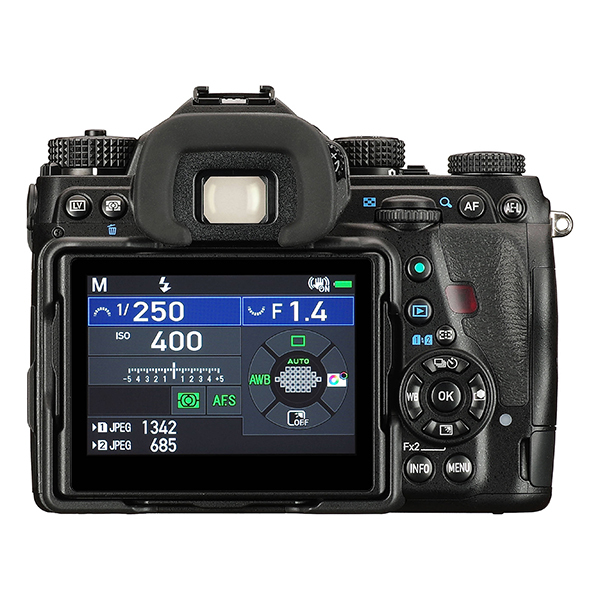 This system features a newly developed Dynamic Pixel Shift Resolution mode, which allows the photographer to capture super-high-sensitivity images in handheld shooting, by detecting the slight fluctuations of the subject’s position during continuous shooting. In addition to the conventional shooting style using a tripod, this innovative mode provides a new option for the photographer to enjoy super-high-sensitivity photography with a wider variety of subjects and scenes. The camera also comes equipped with a host of features and functions designed to optimize the photographer’s creativity and operational comfort, including a dependable magnesium-alloy body with dustproof, weather-resistant construction; an optical viewfinder with a nearly 100-percent field of view for real-time subject confirmation; a sophisticated shake-reduction system; and a flexible tilt-type LCD monitor to accommodate various shooting angles. To place priority on image resolution, the PENTAX K-1Mark II features a 35mm-format full-frame CMOS image sensor with an AA (anti-aliasing) filter-free design to produce high-resolution images with approximately 36.4 effective megapixels. It also features a new accelerator unit, which optimizes the image data obtained by the full-frame image sensor before delivering it to the high-performance PRIME IV imaging engine. Because of this, the camera produces high-quality images with minimal noise, while retaining excellent resolution at all sensitivity levels, from normal to super-high sensitivities. PENTAX has also made a thorough review of all image-processing parameters to assure adherence to its original color scheme, with special emphasis on deep blues and lively greens. PENTAX has also drastically improved the camera’s noise-reduction performance at a high-sensitivity range — up to ISO 819200 — to expand creative possibilities in super-high-sensitivity shooting. In addition to the innovative Pixel Shift Resolution System — the super-resolution technology that uses the camera’s in-body shake-reduction mechanism to capture four images of the same scene by shifting the image sensor by a single pixel for each image, then synthesizes them into a single composite image — the PENTAX K-1 Mark II also features the Pixel Shift Resolution System II, which obtains RGB color data for each pixel to produce super-high-resolution images with finer details and more truthful colors than those produced by ordinary full-frame sensors. In the new Dynamic Pixel Shift Resolution mode, which can be used during handheld shooting, this system can be used jointly with the camera’s shake-reduction mechanism, since it synthesizes the captured super-high-resolution images by detecting the slight fluctuations of the subject’s position during continuous shooting. The camera also provides ON/OFF switching of the Motion Correction function, which detects moving elements of the continuously captured images to minimize the effect of movement during the image synthesizing process. 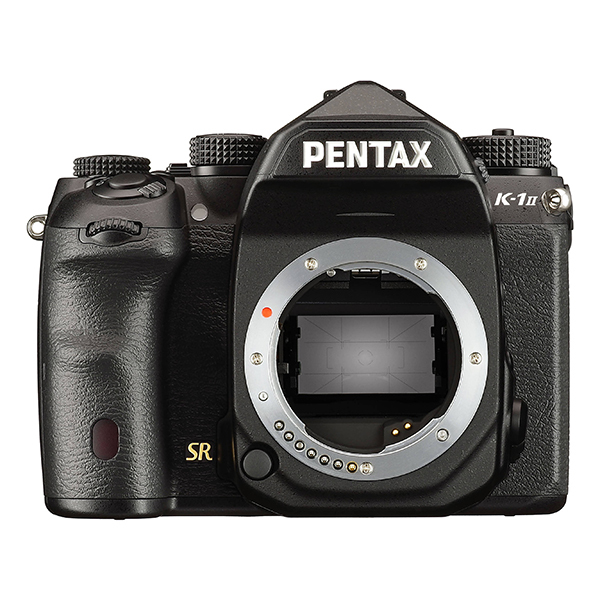 The PENTAX K-1 Mark II comes equipped with the PENTAX-developed SR II (Shake Reduction II) five-axis mechanism, which provides accurate control of the large full-frame image sensor with all compatible PENTAX interchangeable lenses. 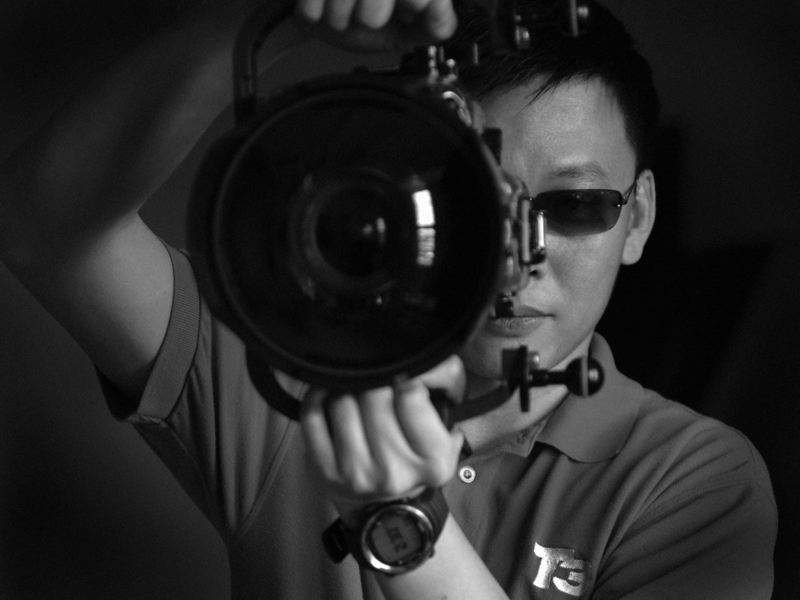 In addition to camera shake caused by pitch and yaw, this advanced system also compensates for camera shake caused by horizontal and vertical shift (often generated in macro photography) and camera shake caused by roll, which is difficult for lens-installed shake reduction mechanisms to handle. It has a compensation range up to five shutter steps (measured in conformity with CIPA standards, using the HD PENTAX-D FA 28-105mm F3.5-5, 6ED DC WR at a 105mm focal length). When taking a panning shot, this system automatically detects the direction of the camera’s movement, and efficiently controls the SR unit to produce the best image possible without requiring any mode switching operation. 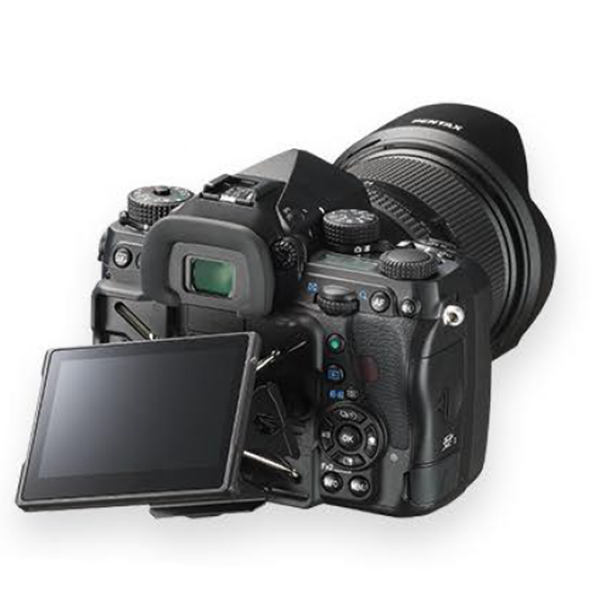 On its back panel, the PENTAX K-1 Mark II features a flexible tilt-type LCD monitor, which can be tilted to the desired angle horizontally, vertically or diagonally with a single action, without deviating from the lens’s optical axis. The user can not only tilt it approximately 35 degrees horizontally and approximately 44 degrees vertically, but also pull it out from its base to view the on-screen image from above for waist-level photography. This large, 3.2-inch LCD monitor has approximately 1,037,000 dots and a 3:2 aspect ratio, and provides a protective tempered-glass front panel for added durability. In addition to its wide-view design, it also features a unique air-gapless construction, in which the air space between LCD layers is eliminated to effectively reduce the reflection and dispersion of light for improved visibility during outdoor shooting. Its outdoor monitor function, which allows instant adjustment of the monitor’s brightness to the desired level, has also been improved to provide greater visibility in dark locations. Its red-lit monitor display function facilitates monitor viewing when the photographer’s eyes have become accustomed to a dark location during nighttime photography. By combining an approximately 86,000-pixel RGB metering sensor with the high-performance PRIME IV imaging engine, the PENTAX K-1 Mark II’s advanced PENTAX Real-Time Scene Analysis System performs real-time analysis of the brightness distribution over the image field and the subject’s colors and movement. Based on this data, it then measures the subject’s lighting conditions with great accuracy and optimizes the exposure. By adopting a breakthrough artificial intelligence technology, deep learning, to its algorithm, it assesses each individual scene more accurately, and optimizes the exposure settings for a given scene or composition. Optimized for a 35mm full-frame digital SLR design, the camera’s optical viewfinder provides a nearly 100-percent field of view and an approximately 0.7-times magnification. Thanks to the combination of a condenser lens and aspherical lens, it provides a wide field of view and a clear, undistorted image of the subject. It comes with a Natural Bright Matt III focusing screen, acclaimed for ease of focusing during manual-focus operation, and true-to-life rendition of defocused areas in the viewfinder image. 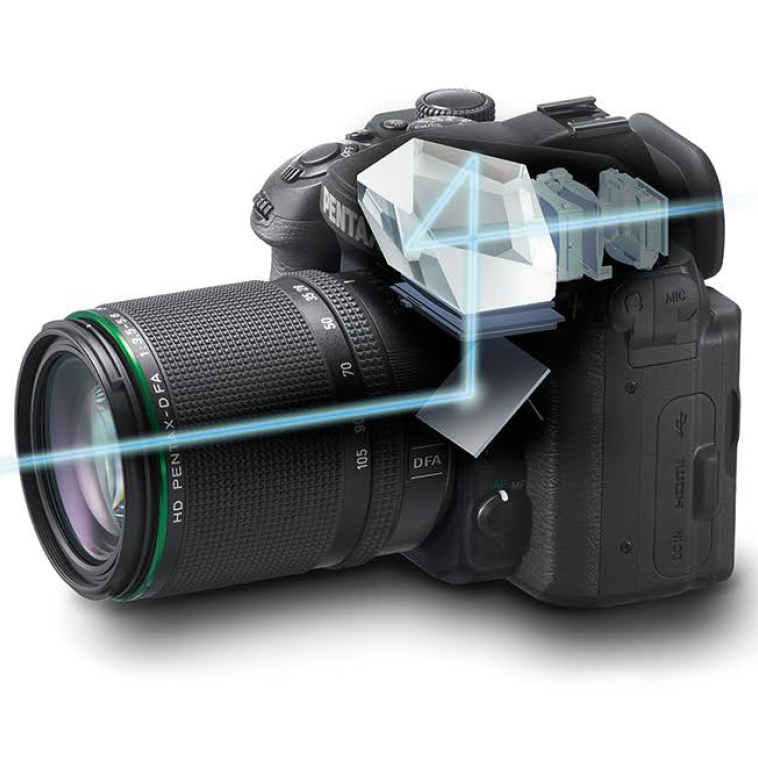 In addition, its transparent viewfinder display makes it possible to superimpose a wide range of photographic data over the viewfinder image. 1) Operation assist light function, which sets LED lights at four different spots around the camera body — above the lens mount, behind the LCD monitor, at the memory car slot, and at the cable switch terminal — to facilitate lens and memory card changes, attachment and removal of the cable switch, and control button operation at night and in poorly lit settings. 2) Key lock function, which prevents erroneous operation of the four-way controller and other exposure-related control buttons. 3) Smart Function, which allows the user to swiftly choose and set desired functions using just the function dial and the set dial on the camera’s upper panel, without referring to the menu screen on the LCD monitor. 4) Control panel customize function, which allows the user to change a listing and/or position of the on-screen menu. The PENTAX K-1 Mark II captures Full HDmovie clips (1920 x 1080 pixels; 60i/30p frame rate) in the H.264 recording format, and comes equipped with a stereo mic terminal for external microphone connection, and a headphone terminal. The user can also adjust the audio recording level manually, monitor sound pressure levels during microphone recording, and cut down wind noise using a new wind-noise reduction mode. In addition to a host of distinctive visual effects for movie recording, the camera also provides the interval movie mode, which captures a series of 4K-resolution (3840 x 2160 pixels) movie clips at a fixed interval. 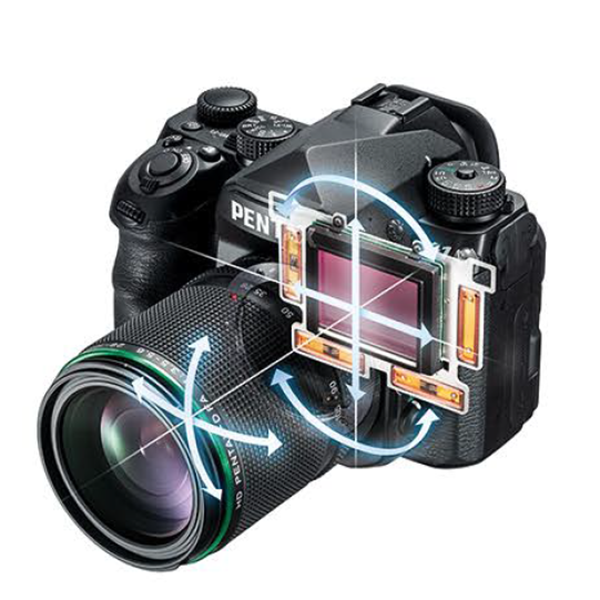 Thanks to its built-in GPS module, the PENTAX K-1 Mark II provides a variety of advanced GPS functions, including the recording of location, latitude, longitude, altitude and UTC (Universal Time Coordinated) and direction at the time of shooting. The user can easily access images containing GPS data using a computer, to browse them, check on shooting locations and position data on the screen, or save them. The camera also provides a set of other unique tools, including: Electronic Compass, which displays the camera’s direction on its LCD monitor; GPS log, which keeps track of the photographer’s movement; and ASTRO TRACER, which simplifies the tracing and photographing of celestial bodies by coupling GPS data with the camera’s SR mechanism.